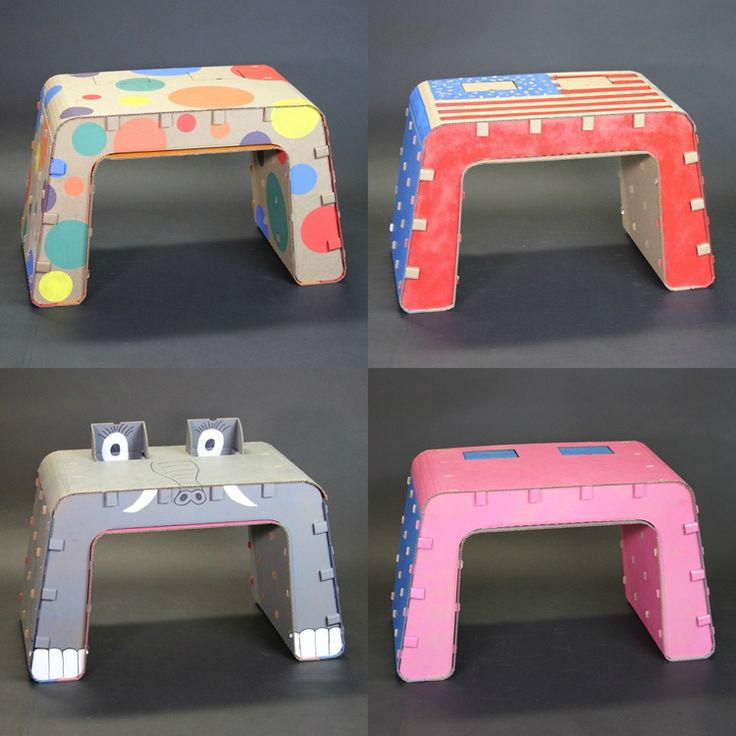 Made in the USA from 40-60% post-consumer recycled fiber, The Cardboard Guys offer a Kids Imagination Desk & Chair designed to foster creativity in a way that is fun, functional, and eco-friendly. The desk is equipped with reversible outer pieces, cubbies, and side tabs for DIY accessories and decorations. While designed for children, the chair can hold more than 500 lbs. Each item arrives flat-packed, requires no adhesives for assembly, and snaps together easily. “With kids being the only demographic that physically grow out of their furniture, we believe this recyclable alternative made from corrugated fiberboard solves a real problem.” says Co-Founder, Jordan Kepler. 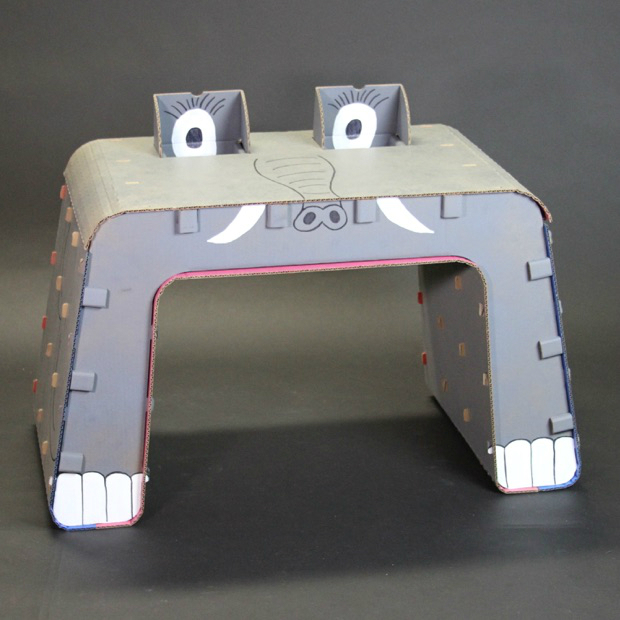 The Kids Imagination Furniture was designed with the help of feedback from over 200 parents and children. The Cardboard Guys have demoed their furniture at the SLO Children’s Museum, Santa Cruz Museum of Art & History, and SLO Makerspace, along with daycares and family-oriented community events. Says Justin Farr, CEO & Co-Founder, “We learned that parents want to provide their kids with an environment to color outside the lines; a place for creative freedom. The Imagination Desk and Chair is theirs to do just that.” To raise money for their first run of manufacturing, The Cardboard Guys are launching a Kickstarter campaign on February 24th, 2015. All backers will be able to pre-order the Kids Imagination Desk & Chair for discounted prices along with perks including a miniature and life-size version of The Cardboard Guys’ mascot, Cardboard Corey. 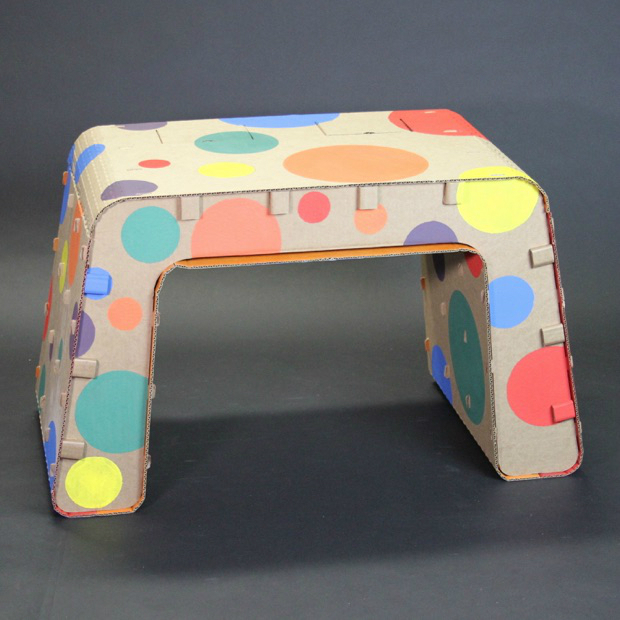 ABOUT THE CARDBOARD GUYS: The cardboard furniture is designed for children to express their creativity in a way that is fun and environmentally friendly. 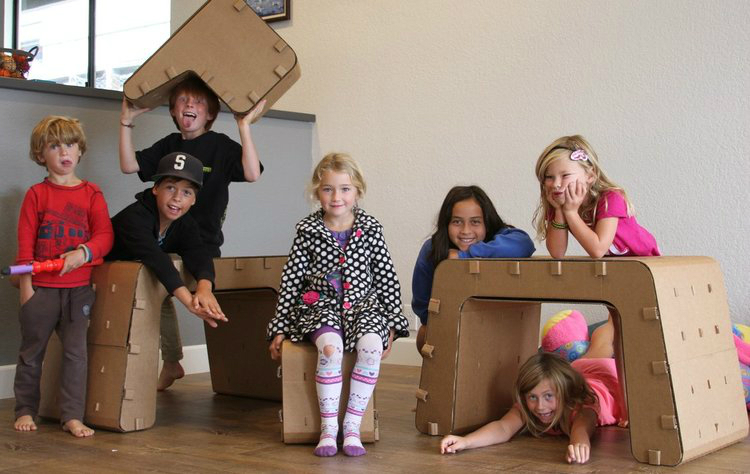 Founded by three recent Cal Poly San Luis Obispo graduates, the company believes cardboard is the ideal material for children’s furniture: for stimulating creative thinking, for being recyclable, and for its natural properties of strength and durability. The Cardboard Guys’ unique furniture design is truly a blank canvas for creativity. For some cool cardboard furniture for kids, support the The Cardboard Guys’ Imagination Furniture on Kickstarter.